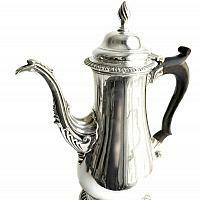 Rare and elegant 18th Century George III Sterling Silver Chocolate or Coffee Pot, museum worthy quality. Made in 1771 by William Grundy of London, England. 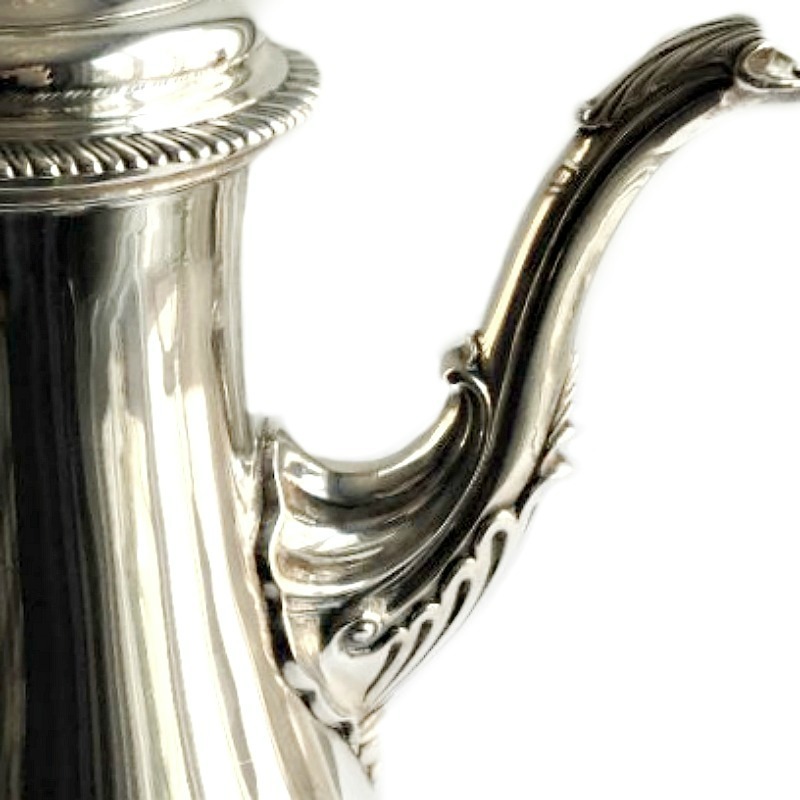 From the collection of a southern family who had refined taste in the creme de la creme of silver, this has a Rococo baluster form onto a circular domed spreading foot. 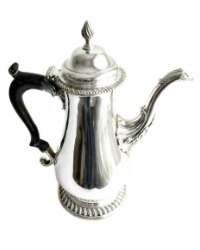 The lid is hinged and is crowned with an ornate finial, the double scroll handle is carved from ebonized wood with a scrolling thumbpiece and fitted to an impressive cast sterling scrolling lower terminal . 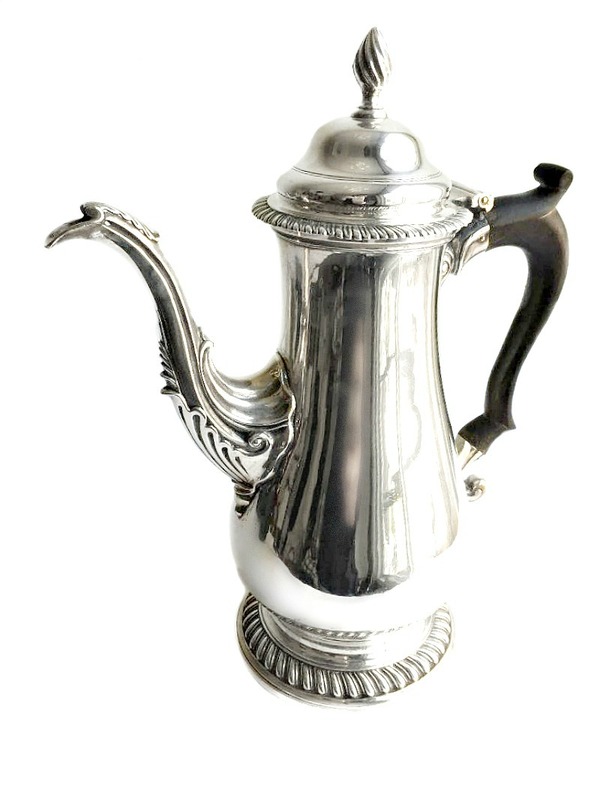 Stunningly beautiful, an impressive cast sterling silver swan necked spout embellished with scroll leaf motif decorated fingerpieces, in addition to a scrolling motif to the lip makes this perfection. 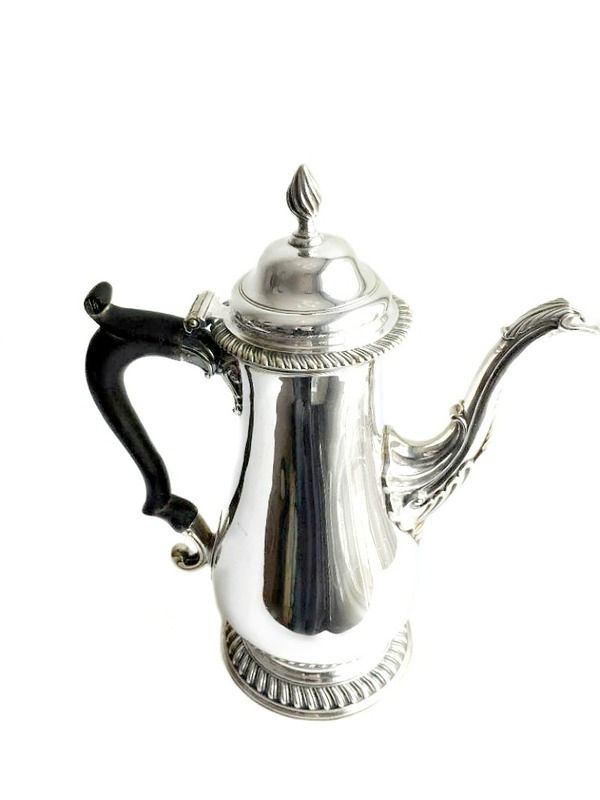 This antique coffee pot is an exceptional gauge of silver, exceptional quality and in exceptional presentation condition. The hallmarks struck to the underside of the coffee pot are clear. Measures 11" h x 9" x 4-3/4".